An often asked question by African-American visitors to Columbia is, “Where are the Black people in this city?” In years past, it was possible to drive down Broadway, shop in downtown businesses, visit governmental offices, or walk through the University of Missouri campus without seeing a single Black person. During periods of unrest among African-American youth in the 1980’s, a local newspaper editor asked more pointedly if there were male leaders in the Black community. Moreover, the city was growing at such a fast rate that it was no longer possible for longtime residents to keep up with newcomers to the city. In part as a response to this situation, a group of minority men met in December 1985 to get to know each other. 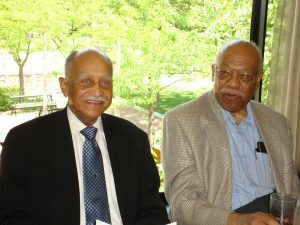 Dr. Eliot Battle and Dr. Arvarh Strickland, founders and affectionately referred to as “The Co-Conveners”, called the group together as a vehicle to welcome minority men to the Columbia community.Over the decade from 1985 to 1995, the group which called itself the Minority Men’s Network met, sometimes at regular intervals and at other times at irregular intervals. From the beginning, involvement in issues affecting youth was a priority among the stated purposes of the group. In 1996, with the support of Shelter Insurance and Columbia College, the Minority Men’s Network published a directory titled: “Speaking to Youth: A Sampling of African-American Community Leaders”. By 1998, the Minority Men’s Network formalized its organization status and began meeting regularly at Columbia College. In addition to Eliot Battle and Arvarh Strickland, the Network included men from throughout the African-American community. MMN membership included Charles Allen, Lloyd Henry, Ellis Ingram, Ronald Kelley, Chester McDonald, Karl McCleary, William McKee, Sr., Douglas Simmons, Harold Warren, Sr., and Sehon Williams to name a few. These men, all of diverse talents and professional backgrounds, brought other men to the group and the Network began to grow. In 2002, the Network established the Minority Men’s Network Educational Foundation to facilitate and empower efforts to provide financial support for the education of minority youth. Several years previously, MMN member Ron Marley had provided the initial contribution for a scholarship for minority youth and challenged Network members to do likewise. Ron and four of his family lost their lives in a tragic accident in 1999. Finally in 2003, the Minority Men’s Network Educational Foundation awarded the first annual Ron Marley Memorial Scholarship to a deserving Columbia high school senior. We have awarded one or more scholarships every year since 2003. Since 2003, the Network has continued to be active in our community. Our motto: “Improving the Lives of Others Through Service” has caused us to get involved in issues ranging from the recommendation to form a Columbia Citizens Police Review Board, to the annual Clean Up Columbia effort, to our Nora Stewart Early Learning Center Reading Program. 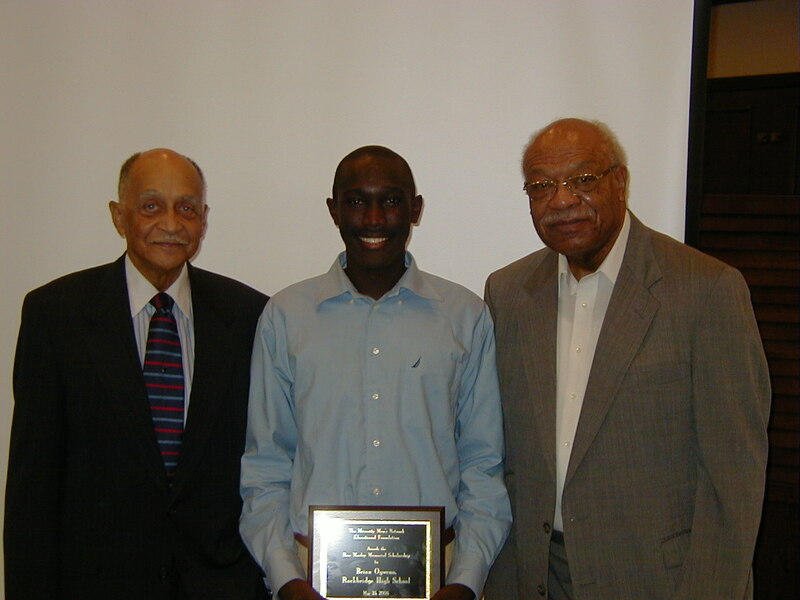 In 2007, the Minority Men’s Network was the organizational winner of the Columbia Values Diversity Award and in 2011 the Network received the Dr. Martin Luther King, Jr. Award from the University of Missouri. We lost Dr. Arvarh Strickland in April 2012 and Dr. Eliot Battle in June 2013, but the Spirit of the Co-Conveners lives on among the members of the Minority Men’s Network. Thank You for your support!